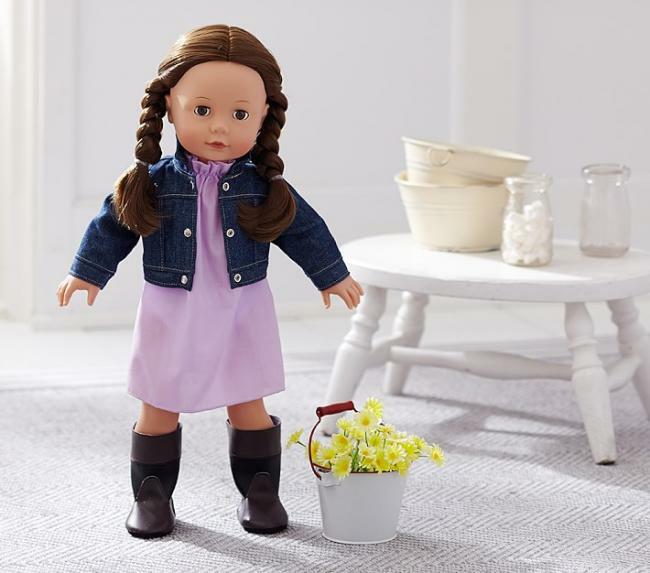 With her cute outfit and poseable arms and legs, Bailey has a spirit of adventure and is happy to join your child on all her outings. This collectible-quality doll has been made exclusively for us by Götz, a doll manufacturer that traces its roots to the small village of Rödental in Bavaria, Germany. Includes doll, jacket, dress, underpants and boots.